How Much Homemade Kefir Can I Drink in a Day? 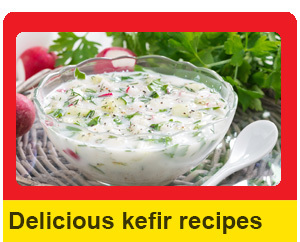 Many people drink homemade kefir as a home remedy for different diseases or just for keeping healthy in general. The most commonly-asked question when it comes to the consumption of kefir is “how much homemade kefir a day” can one person consume. The amount differs from individual to individual depending on what they want but many doctors and nutritionists recommend the consumption of kefir to an average amount a day. How Much Homemade Kefir Can You Consume? 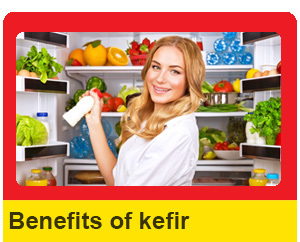 The amount of consumption of any particular substance differs, and the case is no different with kefir. For some people whose bodies are not used to probiotics or any other fermented foods, it is suggested that they start with a small amount of kefir a day and gradually increase as their bodies adapt to the homemade kefir. 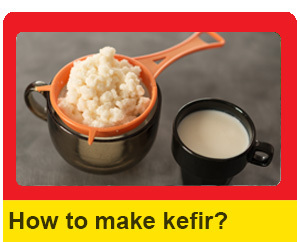 Since their bodies are not familiar with kefir, some might report cases of diarrhea. The older people get, the weaker their bones become. This can lead to bone fractures and osteoporosis. This is most common in women who are past menopause. 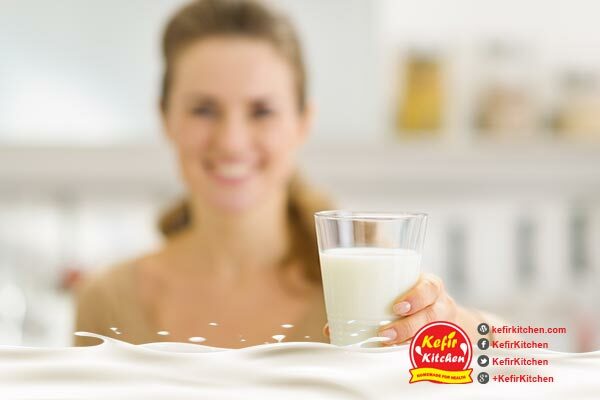 Drinking about 3-4 cups of homemade kefir a day can help with strengthening bones as traditional homemade kefir, which is made from cow’s milk mostly and contains vitamin k, and calcium, both really important for the health of bones. How Much Homemade Kefir Can Patients Drink in a Day? Homemade kefir is also a good remedy for people who are lactose intolerant. Although the amount of homemade kefir a day can be consumed by lactose intolerant people is better determined by their GP (General Practitioner). The GP would be able to allocate the recommended amount of homemade kefir you can include in your diet. Also, people who have Irritable-Bowel Syndrome should converse with a GP prior to taking homemade kefir as this can make the IBS worse. Cancer patients on chemotherapy can also benefit from homemade kefir, and consumption in high amounts are acceptable in a cancer patient as they need an immune system balance which homemade kefir is known to remedy. Patients on chemotherapy can take as much as four to five cups of homemade kefir a day as this can help with the reduction of cancer cells by as much as 56%. Conclusion: How Much Homemade Kefir Should You Drink in a Day? There is no limit to the amount of kefir a person can drink in a day. But, just like anything else in the world, too much of everything is not good, so this means that kefir should be consumed in reasonable amounts. This is because the body needs a balanced diet of nutrients and overdosing on kefir would cause a deficiency in the other necessary vitamins that the body needs to operate at optimum capacity. Although homemade kefir can be consumed upwards of four cups a day. It is also advisable to have at least one day in the week where you rest your body from kefir. This allows the nutrients absorbed from the kefir to settle in your body and make space for more intakes. The decision on how much homemade kefir a day your body can tolerate is different in every person. This means that there is no known standard amount of homemade kefir as every person has different problems and needs. The one thing for sure is that drinking home made kefir on the regular is good for your health, and body.